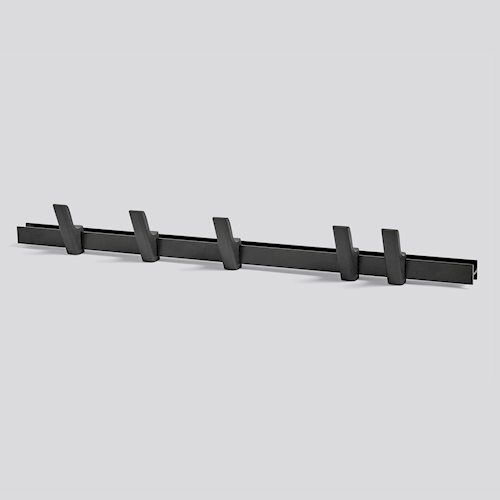 The traditional American Shaker coat rack with a shelf is reinterpreted here by the design trio Big-Game, which brings two historical materials together to create the sturdy and durable coat rack Beam. 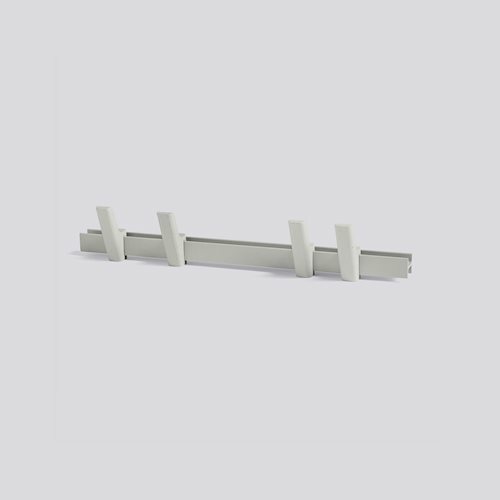 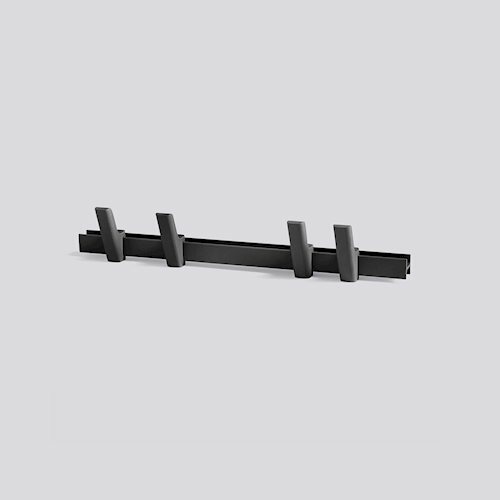 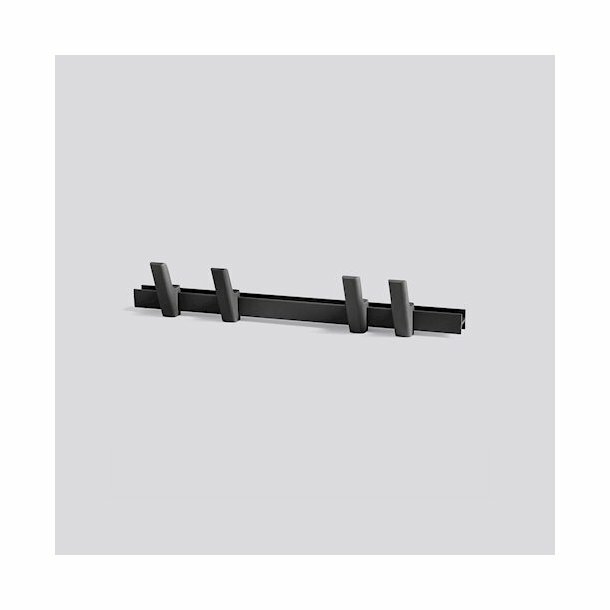 The metal bar is not just a beam that you can slide the wooden hooks on, as many as you need, but also a shelf with an edge that keeps smaller items in place above the hooks. Light grey w/ light grey hooks.